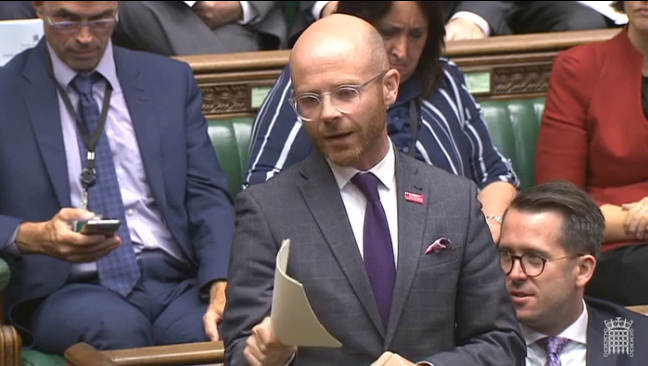 West Dunbartonshire’s MP Martin Docherty-Hughes has accused the Tory UK government of failing to support hard-pressed families following the autumn Budget unveiled this week by the Chancellor. Mr Docherty-Hughes said the Tories had failed to live up to their promise to end austerity after it was revealed that Scotland’s block grant would be almost £2 billion lower in real terms next year than it was less than a decade ago. The SNP MP also criticised the UK Chancellor for prioritising tax cuts which benefit the wealthy at the expense of the poor – with new analysis by the Resolution Foundation showing the poorest fifth of households facing being £400 a year worse off, while the wealthiest are set to gain £390 a year. “The Prime Minister claims austerity is over, but the reality is that the poorest and most vulnerable in our communities will continue to pay the price of this Westminster government’s cruel policies. “It’s an utter disgrace that the Tories have prioritised tax cuts for the wealthy whilst refusing to deliver support to the poorest in society who need it most. And it beggars belief that this is being supported by the UK Labour party. “The Chancellor has failed to lift the benefits freeze, failed to halt Universal Credit and failed to deliver fairness to the 1950s born WASPI women who are being robbed of their pensions. “People in West Dunbartonshire are being let down by a UK government that has cut Scotland’s funding by £1.9 billion compared to ten years ago.